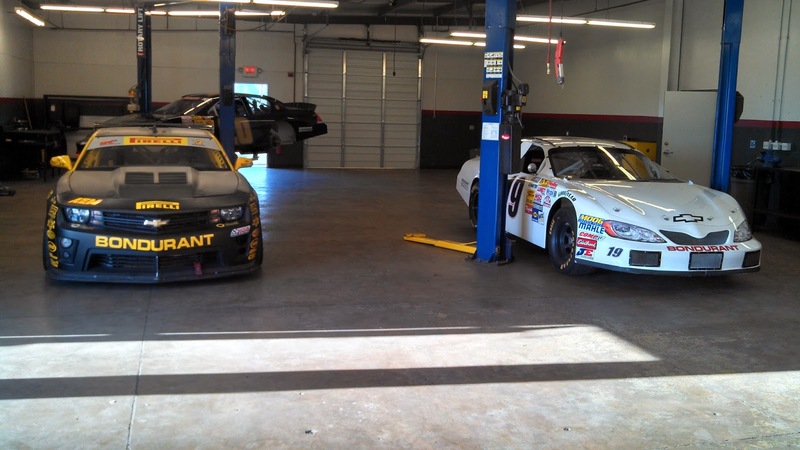 Happy New Year from the Yaw Moment Racing Team! I will be posting more soon with a look back on 2013 and updates on my 2014 plans. Tonight be sure to go out and laugh it up, party like you are still in college, stay safe, and most of all have some fun. See ya' in 2014! The Camaro will get a little easier to work on soon with the addition of a 2-post lift to my race shop. I selected a Dannmar Brigadier 10ACX which is an asymmetric 10,000lb lift that is ALI/ETL Certified. Thanks to my co-workers for helping me getting it into the shop! 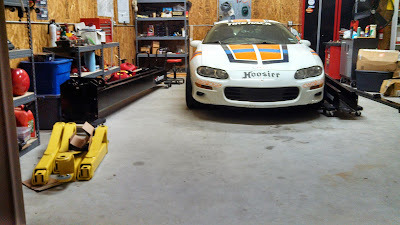 My shop is already wired for the 220V power need for the lift and I will be setting it all up after the Holidays. I've been told they are pretty easy to install if you have some helping hands, but we shall see. More photos to come after it's installed. 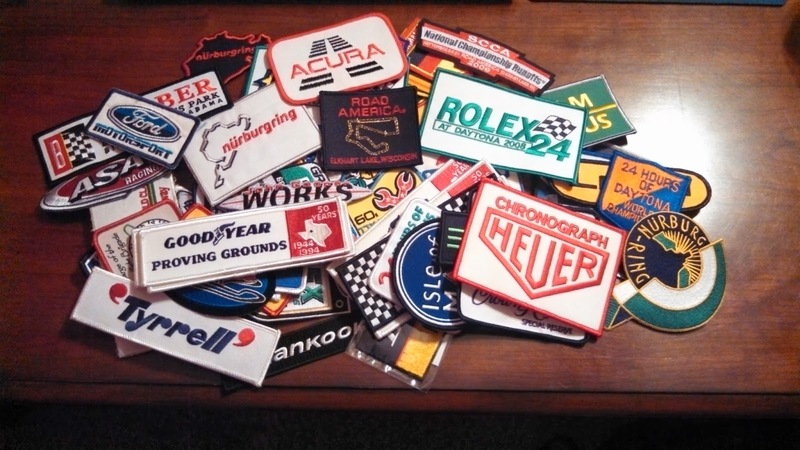 I know this is dorky, but here's a riveting update on my racing patch collection! I started collecting racing patches when I first began working in Grand-Am back in 2005. I started the collection at races by getting the various team's drivers to get me extra series and sponsor patches from the Grand-Am series trailer. Now I buy patches at most new racetracks I go toor buy interesting ones I can find at trackside vendors and even through eBay now and then. 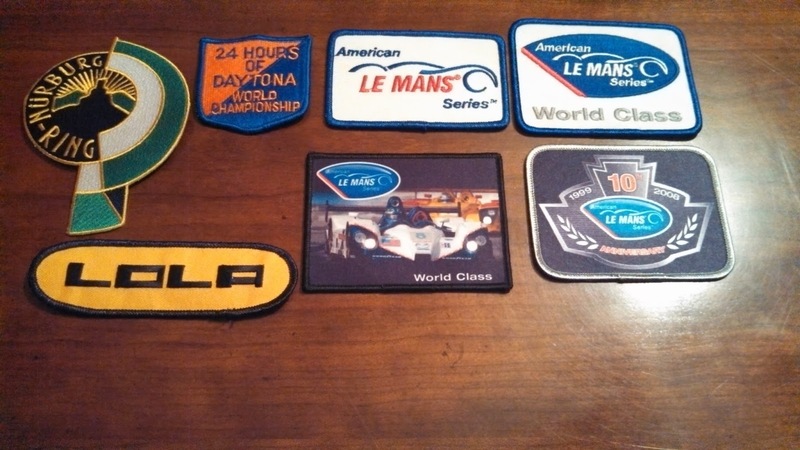 I picked up at the Lola, Daytona, and Nurburgring patches at the Formula 1 Fan Fest in Austin two weeks ago and the ALMS patches for $1 a piece on closeout at ALMS.com. Short, but good video on the life of American BMW Factory Driver and one of my favorite road racers - Joey Hand. PORTRAIT JOEY HAND // BMW WORKS DRIVER from Toussaint on Vimeo. 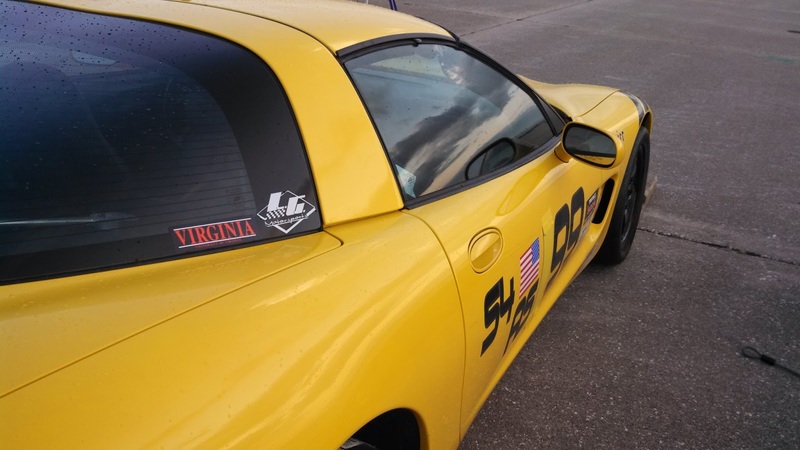 Love it or hate it....the PAX index has become ingrained in the autocross culture. While frequently used for more than it is really intended, the index is a useful tool for "relative" comparison between classes especially for local events where the classes are not generally as deep. There is a separate index for SCCA ProSolo events that is slightly different to account for the drag start that is integral to ProSolo (ie. AWD classes have a tougher index plus some other changes). Thanks to Rick Ruth for all the work he does behind the scenes to put this together. 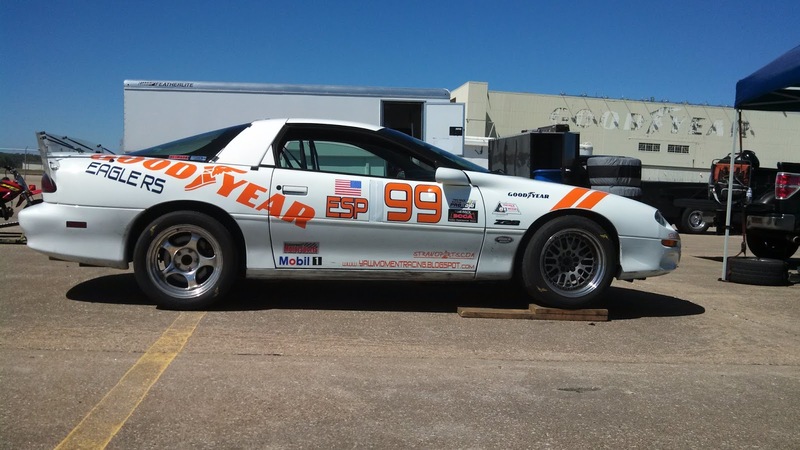 The SCCA recently released a preliminary schedule for the 2014 National Solo series. 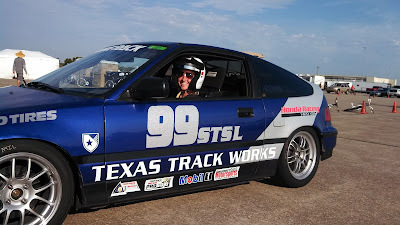 My Dad and I will be contesting the Texas ProSolo and Championship Tour in addition to the Spring Nationals over Memorial Day. 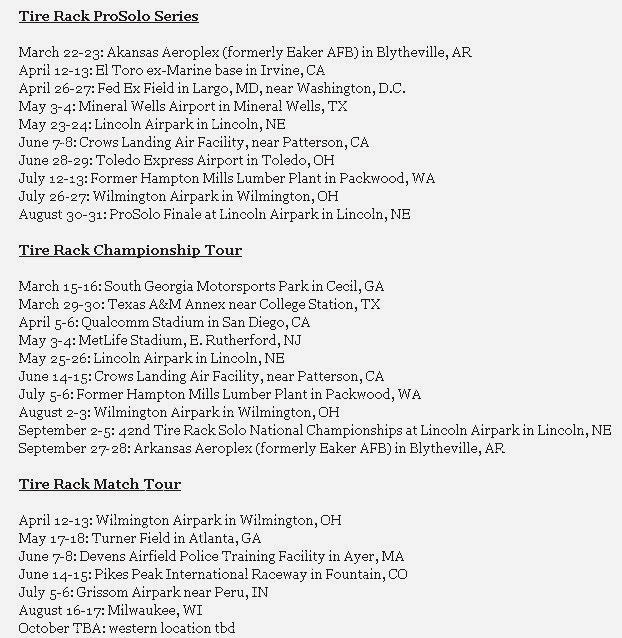 The big shows will be the ProSolo Finale and Solo Nationals over Labor Day again in Lincoln. I may try to hunt for some co-drives next year for fly away events but we'll have to see how the begging works out next year! She is a 2 year old Shiba Inu and will keeping Ali company at the track in 2014! 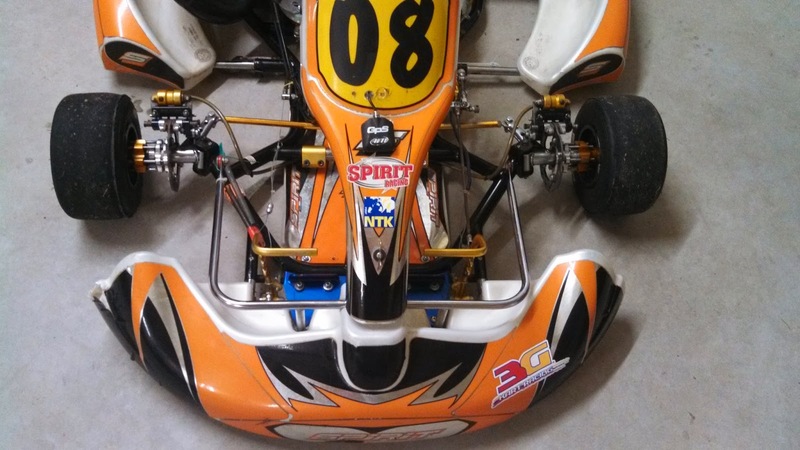 I am selling my stock moto shifter kart package. 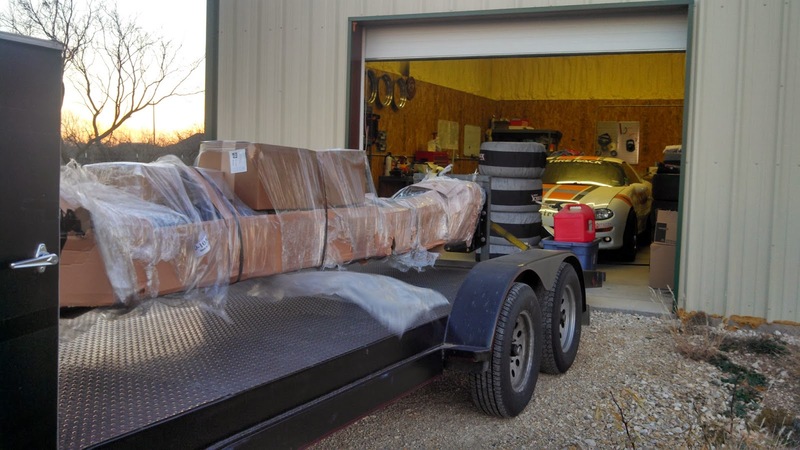 This is is a ready to race complete package. The chassis is a 2010 Spirit SP32 32mm shifter chassis. 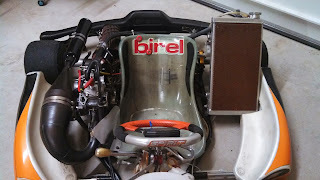 The chassis was designed by multi-time karting World Champion Gianluca Beggio and made by Birel. It is very similar in construction to the Birel 32mm chassis, likes to be tuned the same way, and uses the same Freeline components (therefore all parts can be purchased from a Birel dealer). 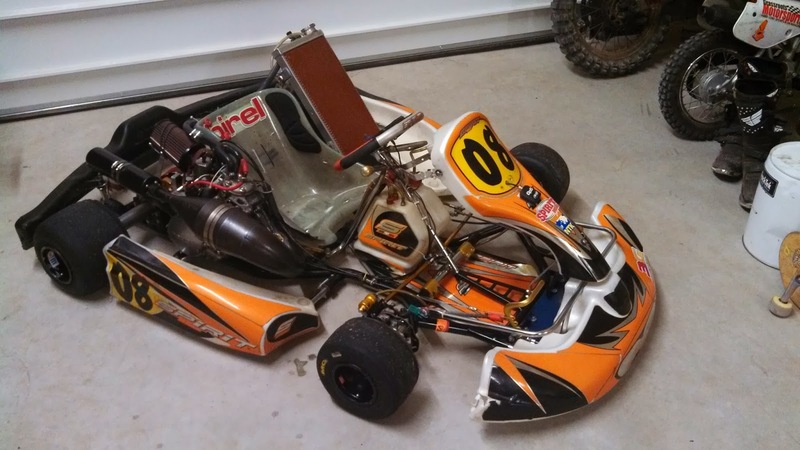 I purchased the kart from 3G Kart Racing in Katy, TX (a Birel dealer and race team) after it was raced only once in the WSK series. 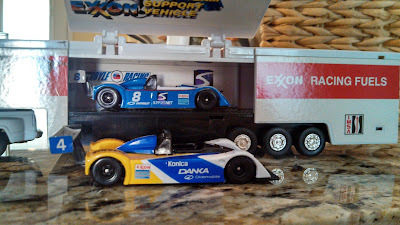 I raced it for one full regional season in 2011 and a few local races in 2012. It was has never been crashed. The kart is currently fitted with a Birel pedal extender for taller drivers. 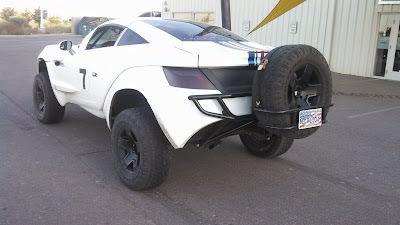 It has a plastic full length rear bumper. The engine is a Honda CR125 built to SKUSA legal stock moto specs by SRS Engines. It uses SRS' Hybrid Float twin pump fuel system with a PMW carb so it is a potent package. 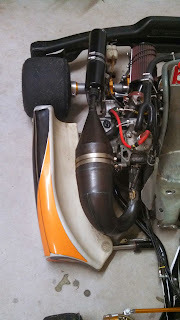 For exhaust, the kart has a RLV R4 pipe with a adjustable M4 Silencer. It is cooled by a large radiator that was custom sourced by 3G Kart Racing (cost ~425 new). I used honeycomb to cover it so it is in good condition. 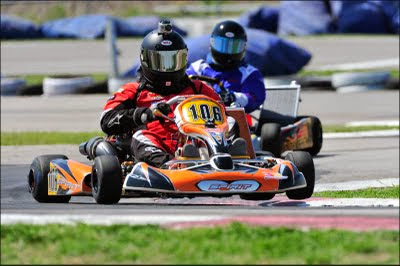 The kart comes with a Mychron 4 w/ GPS and data key. 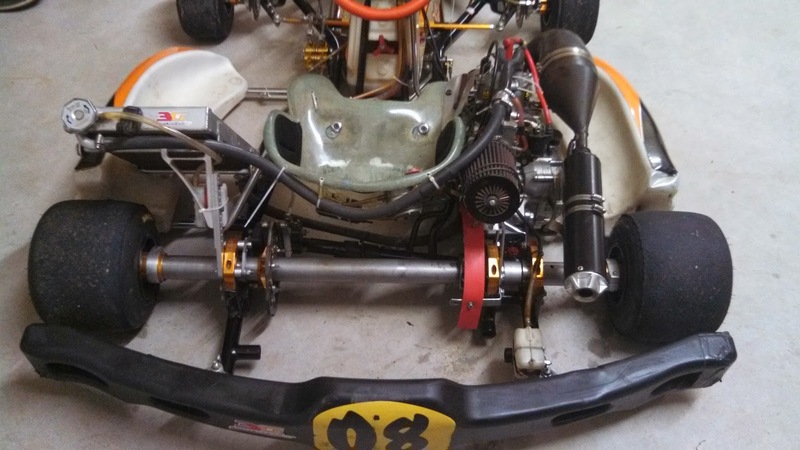 The kart is wired to log EGT, RPM, and water temp. Kart stand included with kart. 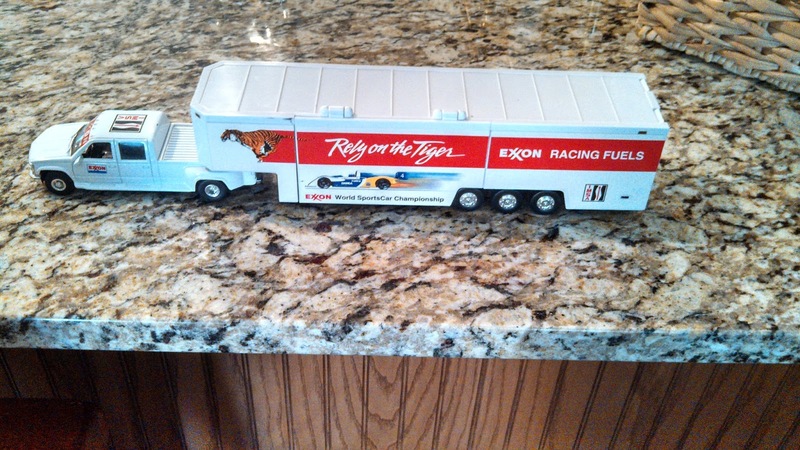 My trailer is a 2008 Haulmark 6x12 Box trailer. 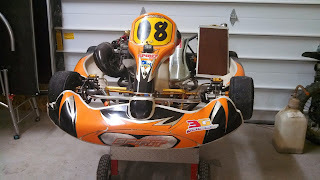 The tires have low mileage and it has bolted in mounting points to tie down my kart on it's kart stand. I am asking $7,500 for the full package. I would prefer to sell it as a full package with the trailer. 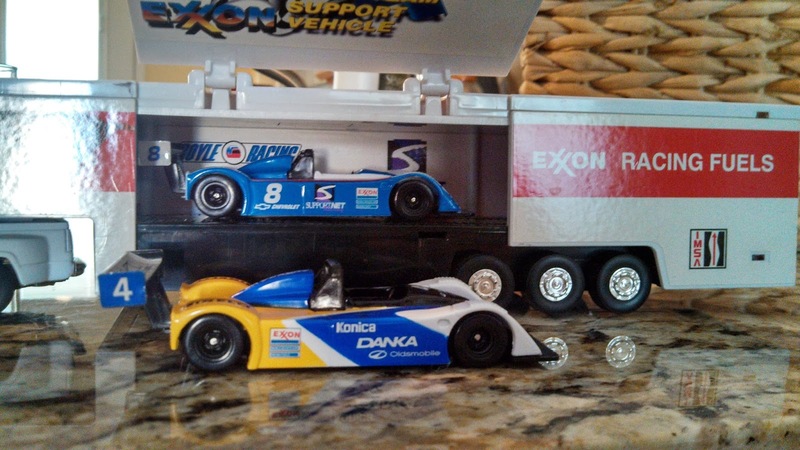 I will consider selling the kart and/or trailer separately. 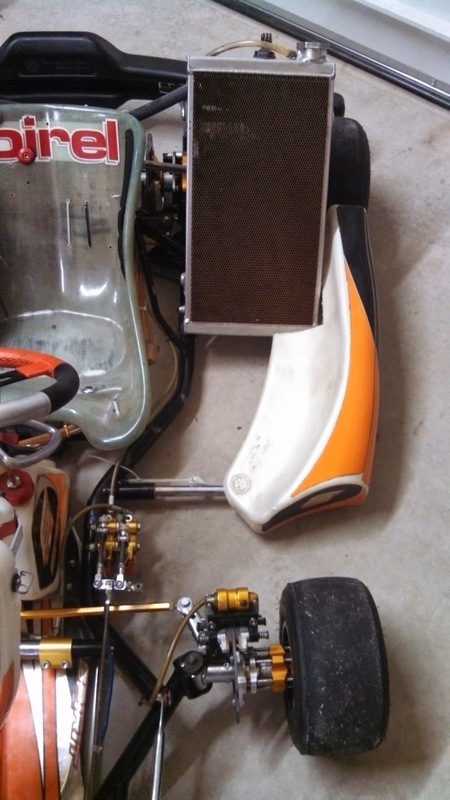 I will not sell individual parts until the kart is sold. Please email at < dogburn at gmail dot com> with questions. Thanks for the interest. Below are a few videos from my trip to the Bondurant school two weeks ago. I took the Advanced Road Racing class and as always, it was a great learning experience at a top-notch facility with excellent instructors. home of the BA off-road machine that is the Rally Fighter! 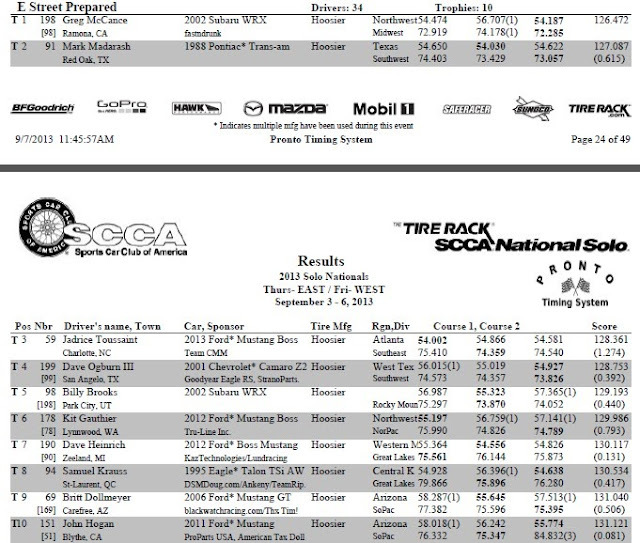 The 2013 SCCA Solo Nationals are in the books. Man, it was a long week in Lincoln....it felt like I didn't have a moment during the week to just relax and enjoy the car show and party that is the Solo Nationals paddock. 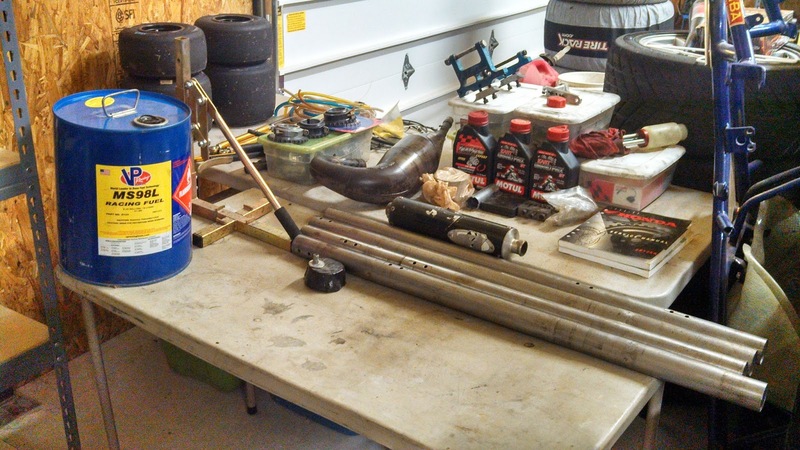 As I reported in the ProSolo Finale recap, the first part of the week was spent racing, sleeping, and working on the car. There didn't seem to be time for much else. On the Monday after the Finale, a new master cylinder was swapped in with the help of Courtney Cormier, we did two test n' tune sessions, and then we immediately drove to Omaha so I could catch a flight back to San Angelo. Given that ESP ran on Thursday/Friday of the Solo Nats week, I didn't have enough vacation to hang out in Lincoln for the two days in between, so I flew back to work for two days. It was really weird not being there while my friends were racing and competing for jackets, but you gotta do what you gotta do. 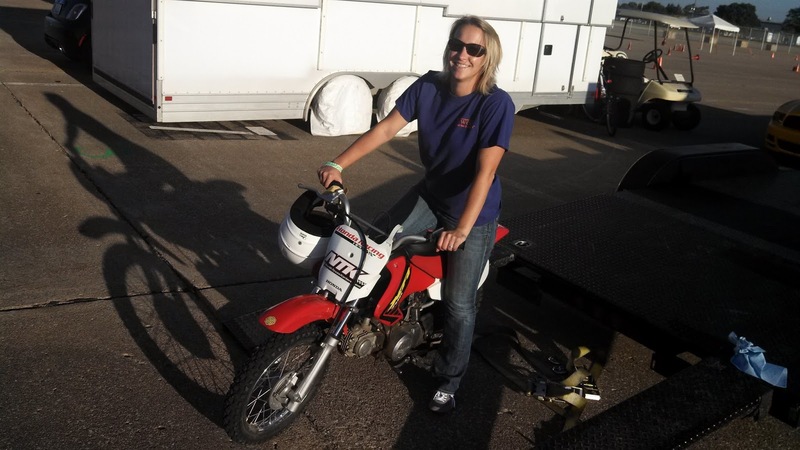 On to the results, ESP ran 2nd heat on Thursday on the West Course. This was a medium-speed single-track 0.8mi course that didn't have any sections that were too quick or too slow. 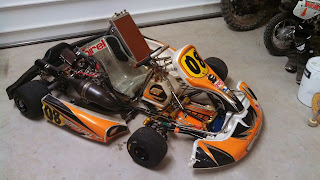 It was all about speed maintenance and not making any big mistakes. 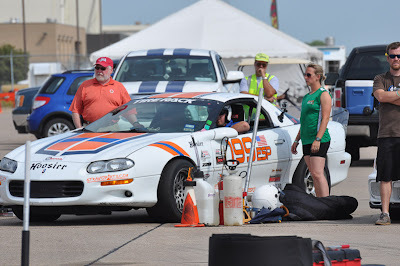 Unfortunately, it turned out to be one of my most frustrating days of autocrossing at the National level. Two-time B-Stock champion Jadrice Toussaint set the pace early with a 54.002s run which ended up being the fastest time of the day. Every driver, including myself, really struggled to match their first run pace on the 2nd the 3rd tries. My first run was on pace with a 54.015s time, but I hit the 2nd cone of the 1st slalom. I got a little bit of understeer passed the first cone and didn't make enough of an adjustment as I passed he 2nd cone which I hit with the right front tire. This time would have put me in 2nd place by 0.013s, but instead I had to sit on my 54.927 3rd run. At the time, I was really surprised that I couldn't gain pace on the last two runs; they both felt good but the time was not there. 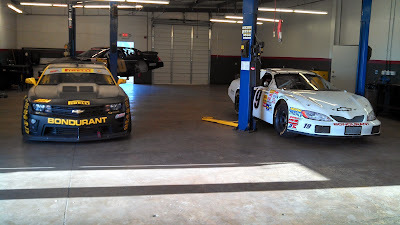 We were running in sunny mid-90s conditions and the track got greasy during our heat so it was not to be. That night, it was a little tough to deal with the fact that I thought I had already thrown away my opportunity to win my first ESP jacket. 0.013s is a lot easier to overcome than 9 tenths! It turns out than none of the RWD cars would have an answer for the Greg McCance's pace in his 2002 Subaru WRX on Day 2's East Course. He dropped in a ridiculously fast 72.285s run on his final run to take the win over the ESP King Mark Madarash who held a 0.019 lead (or something like that) after his 73.057s 3rd run. I finished with a 73.826s run on the Sam Strano designed East Course. This was good enough for 3rd quickest on the day and moved me into 4th place overall. The cone on the West Course cost me 3rd place, but I was happy with my pace on the East Course and to be one of only four cars running sub-74s times. 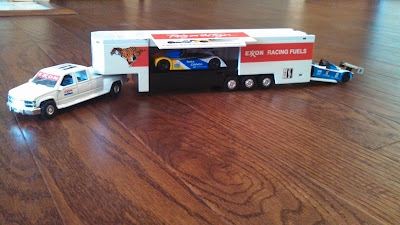 My Dad had his best finish at Nationals with 19th place out of the 34 ESP drivers. He was only 1.5s out of the trophies and capped off a season of big improvements with his best event. He continues to get better and better with each event. 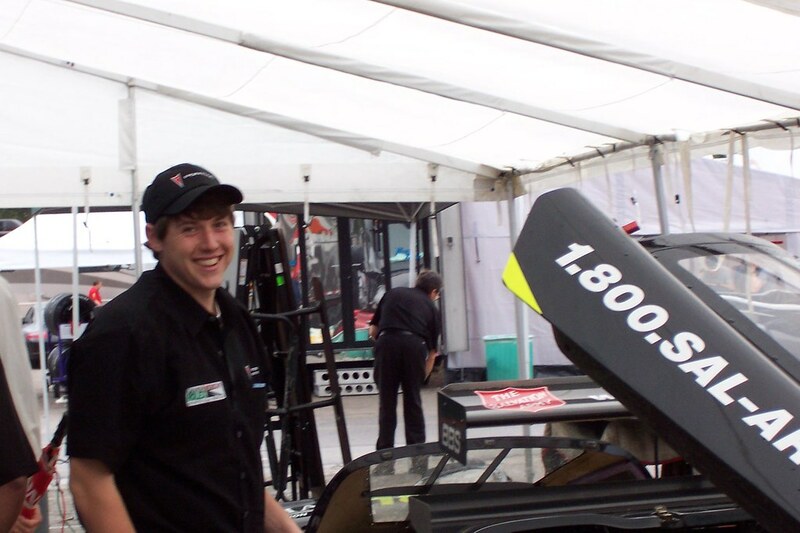 Trouble is he only gets to drive the Camaro at a few events per year and then drives his STX Mini Cooper at locals back home in Virginia. We are looking to correct this with co-drives in RWD cars for locals next year. So those of you out there in the VMSC with RWD Mustangs, Vettes, etc., please help a brother out and offer a co-drive! Ali ran her first autocross ever in STSL class at the Solo Nationals co-driving with Kim Whitener who won her third consecutive STSL National Championship. Ali had practiced twice before in the Whitener CRX. She did really really well her first event - she didn't get lost, only spun once, and came home in 4th place. 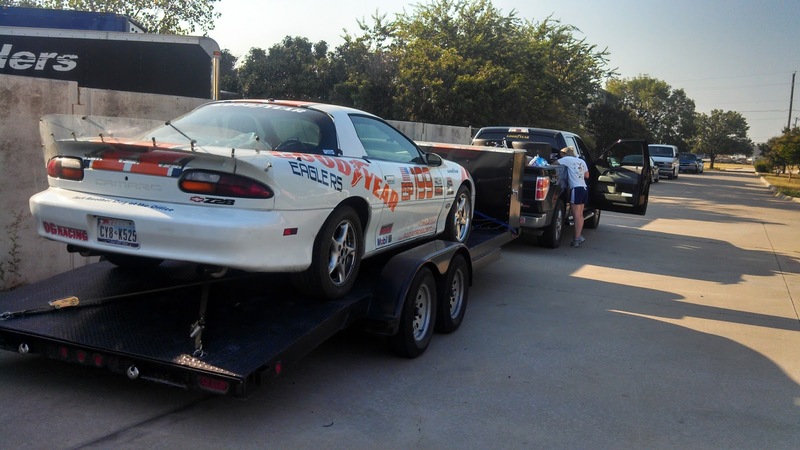 My parents for continuing to support me and for an epic last second drive to Kansas City for a new master cylinder. Ali for always helping out and keeping things fun even with the stress of running her first autocross. 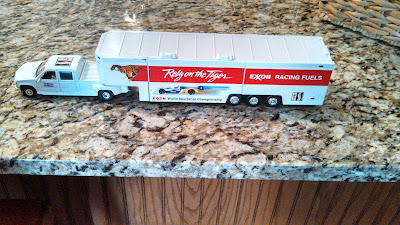 She always makes sure I don't forget the most important part of racing....Fun. Sam Strano for the continued support of my racing, talking shop between sessions, and for the private trackwalk on the East Course. Courtney Cormier for helping with the master cylinder swap and for continuing to be the nicest guy I've met in racing. Lane Borg and Josh Pu'u for helping make the Camaro faster throughout this season. Day 1 for ESP started on the West Course. I finished in 6th place 0.9s out of 1st which is not where I wanted to be headed into the 2nd day. I coned my first and fastest raw time run in one of the opening slaloms. This 54.015 run would have put me in 2nd only 0.013 out of 1st....but there's nothing I can do now but push push push and have a killer time tomorrow. 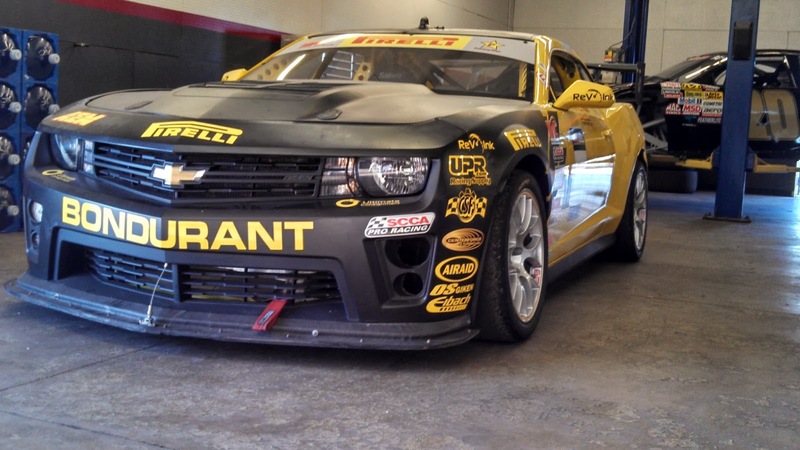 My Dad and I reviewed data, tweaked the car and are ready to rock tomorrow. We run in the 2nd heat which should start around 9:30 AM. On to tomorrow! The whole team arrived in Lincoln safely last Friday. The ProSolo Finale was up first. This is the season-ending event where ProSolo National Champions will be crowned in each class. I needed to win to have a realistic shot at winning the title. Unfortunately, brake issues would keep this from happening (probably not just brakes, but I'll run with it being the brakes fault.....). 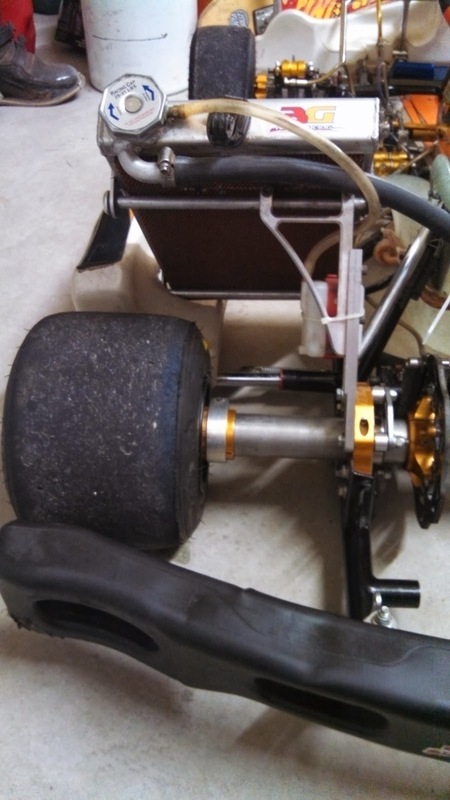 I replaced the front hubs before my two test days in College Station in August, but I was getting severe pad knock-back during the first heat to the point where the pedal would basically go to the floor in each corner. I coned both runs on the right side during Heat 1 which put me back in 5th. 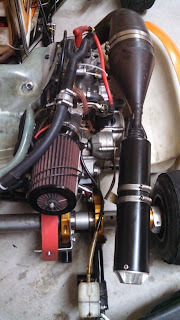 I bled the system thoroughly before Heat 2 and ordered front hubs so that I could get fresh ones in the car and fix the pad knockback problem before Heat 3 on Sunday morning. The brake bleeding did not make much of an improvement so Heat 2 was basically a wash. I was able to clean up the right side which put me in 4th behind McCance, Madarash and Krauss. I replaced the hubs Saturday night and also discovered that I had a master cylinder on the way out thanks to some diagnostic help form Mr. Madarash. Thanks Mark! It rained overnight but we luckily had dry running on Sunday for Heat 3. 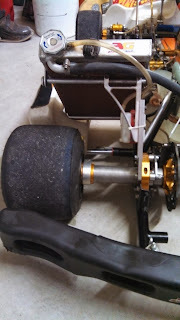 The pad knockback issue was fixed but the brakes were still inconsistent due to the MC problem which made it difficult to properly manage weight transfer with the middle pedal. Amazingly, I was not able to improve my times during Heat 3. I did manage a 45.8s red-light lap on the left side which would have kept me in 4th, but put me much closer to Krauss in 3rd. The Goodyear tires really like heat and running as the 2nd driver in Heat 1 gives me a big advantage. Being the first driver in Heats 2 and 3 really only gives me one shot at a good lap on each side because the tires are still coming in for the first lap on each side. 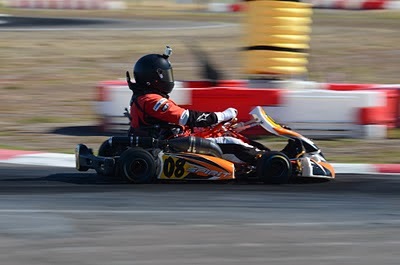 I have struggled with improving my pace in Heats 2 and 3 all year and this weekend was no different. My fourth place finish in the Finale put me in 3rd for the season in ESP. I was a bit disappointed to be so far back at the Finale but am happy to pick up 3rd in class for my first season of ProSolo competition. Sunday night while I was at the ProSolo banquet, my parents made a hero trek to Kansas City to get a new master cylinder for the car. 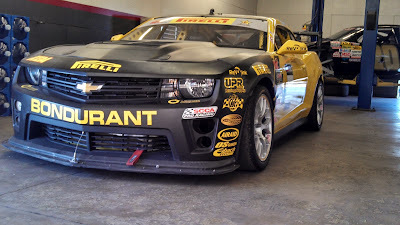 With the help of Courtney Cormier, we got the new MC installed Monday morning in time to run two test and tune sessions. The car felt much better and my Dad and I are both optimistic coming into the Solo Nationals later this week. 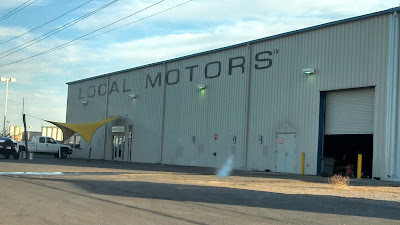 I flew out of Omaha back to San Angelo Monday afternoon so I could work today and tomorrow. 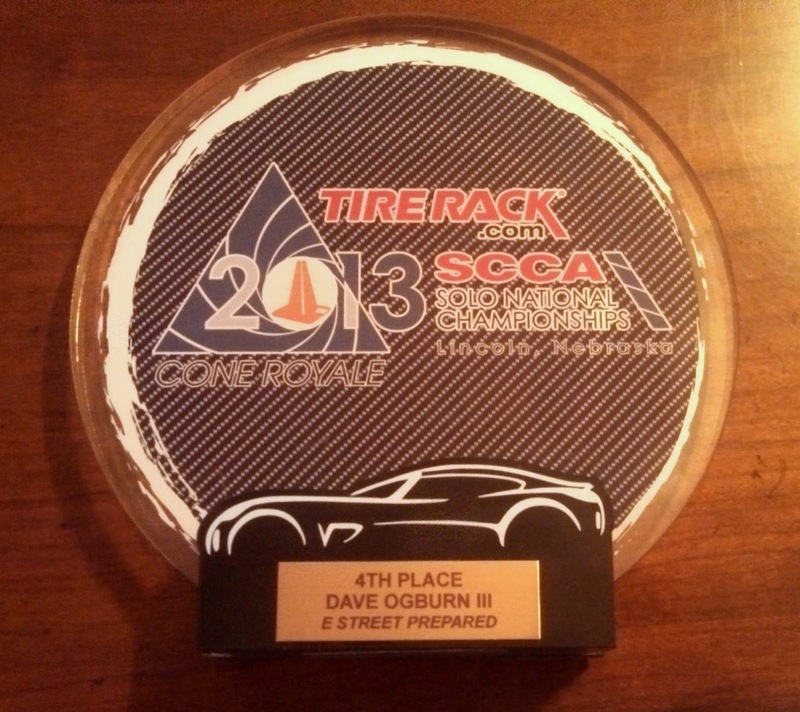 To cap a busy week, I fly back to Nebraska tomorrow for the 2013 Tire Rack SCCA Solo Nationals. With two good days, I think I have a chance to bring home my second jacket but there is stiff competition in ESP with a variety of cars so it will be very difficult. I will send out live timing and video links tomorrow so you can follow the ESP action live on Thursday and Friday! In other news, Ali will be making her Solo Nationals debut this weekend. 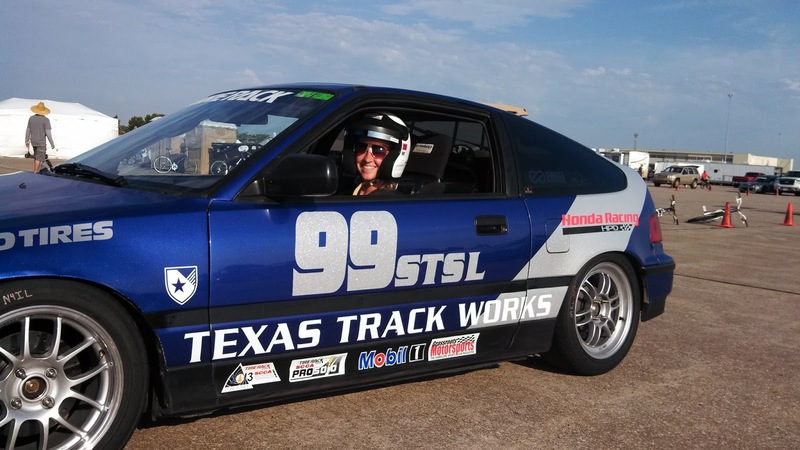 She is helping some friends meet numbers in STSL class by co-driving the championship winning Whitener CRX. She is doing great so far and learning a lot each day. Lane's car sure does look prettier with Orange and Blue!!! I’ve been on radio silence for a little while, but it’s time to get back to blogging. I’ve got the car in tow on the way to Lincoln today. Over the past couple of weeks, I’ve put in a lot of hours working on the car including two days of testing on the College Station concrete. 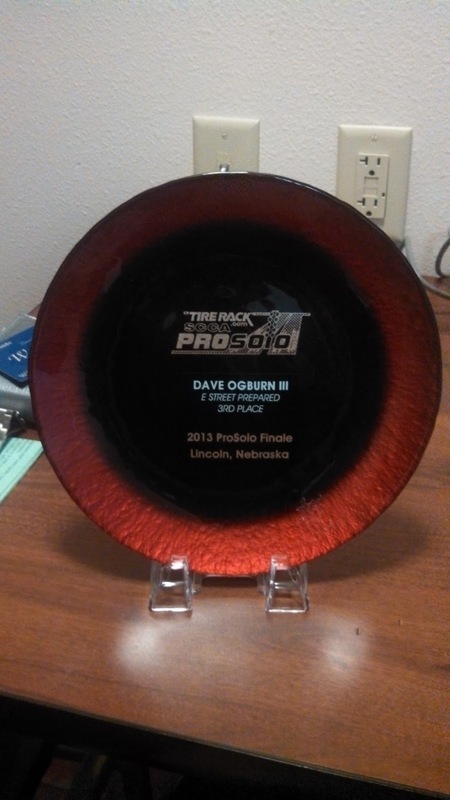 The ProSolo season will wrap up this weekend in Lincoln, Nebraska. The Pro Finale awards more points than any other event this season and will determine the class national champions. Entries are capped at 260 for the event, and we have 13 in E Street Prepared. I am coming in with 32 points, tied for second, and still have a shot to take the national championship. Mentioned in SportsCar's "Who Will Win"
Using my GoPro cameras, my friend Yama's AIM Solo, and editing software RaceRender, I made several videos from my trip to the Green Hell overlaid with GPS speed and lat/long data overlaid. I can't beleive it's been almost two months since I took these videos....it was certainly the experience of a lifetime that I can't wait to repeat! This video is from my Sunday session the Subaru BRZ on my fastest lap which was an 8:59. My camera died during the lap so it cuts off the Karussell. This video is from my second fastest lap of the 'Ring in the Stage 2 VW Scirocco. I posted my fastest lap back in July from France, but the data file had dropouts so I went to the next best lap. I am still sorting through my video, data, and photos from my Nurburgring trip so there will be several posts to follow. I wanted to start off with a collection of photos taken by my brother, Matt, from various corners around the famed Nordschleife that highlight the amazing mix of 4-wheel and 2-wheel machinery that rip around the Touristenhfahrten sessions. These photos are all from the Sunday full day session. 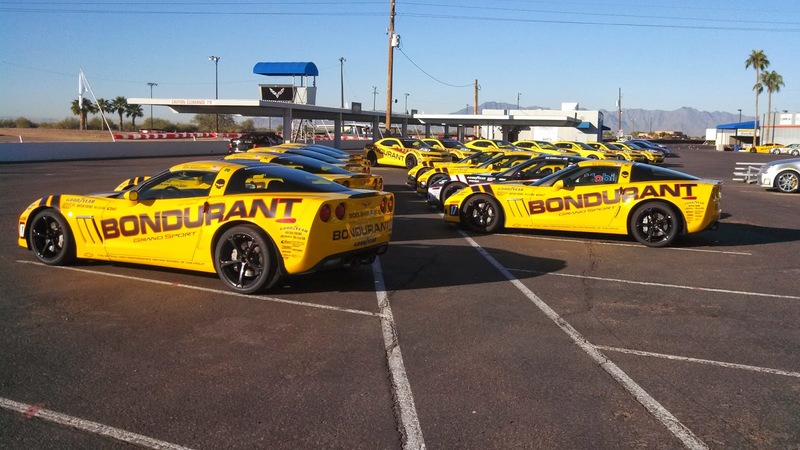 The full day weekend Tourist sessions are generally the busiest with a wide range of horsepower and monetary investment showcased. Photo Credit: Matt Ogburn.....thanks for the great photos!